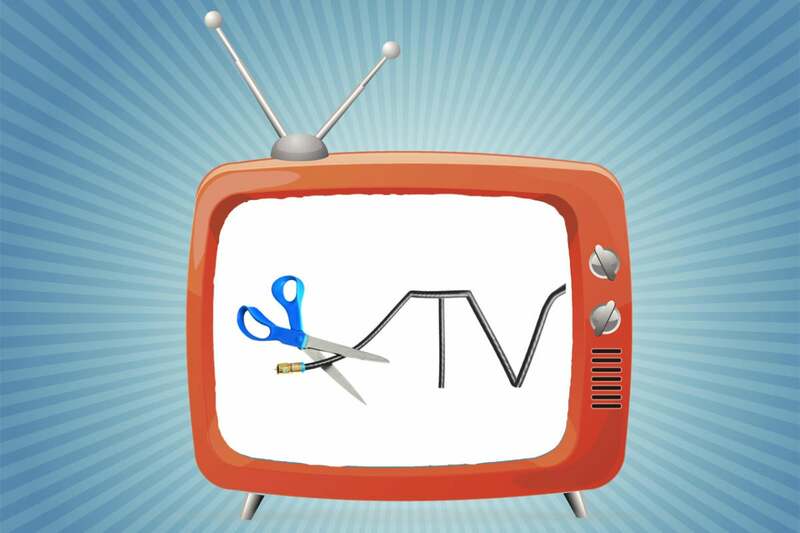 Cutting the cable cord can save you a lot of cash. We'll show you how to make sure your home is ready for it. 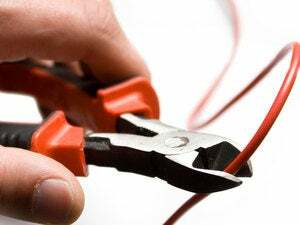 When people look to cut the cord, they spend a lot of time looking at the equipment and services they need to assemble for the ideal setup. There’s the over-the-air antenna to pull in free local channels and all that goes along with setting that up. Then there’s finding the right media streamer for your TV, and deciding which services to subscribe to for live and on-demand programming: Netflix, Hulu, Sling TV, HBO Go, PlayStation Vue, and so on. Making those decisions is putting the cart in front of the horse: Your first and most important consideration should be to determine if your internet service—and your home network—is up to snuff. While pretty much everyone has some form of internet connection, it doesn’t necessarily mean that it’s fast enough to give you a good cord-cutting experience. I can’t begin to tell you how many emails I get complaining about buffering and latency after people have cut the cord. Let’s consider the factors you should examine to make sure your infrastructure is primed and ready for streaming. Your viewing needs directly affect your internet setup requirements. Cord cutting is all about choice and flexibility. Where cable and satellite TV service providers force you to buy expensive one-size-fits-all plans, cutting the cord lets you purchase smaller and more tailored setups. You get what you want for less money because you’re not paying for a lot of content you don’t care about. The key is deciding what you want—and what you can live without. Do you only need local TV channels? If so, you’ll get your content from an antenna and won’t need to worry much about fast internet for streaming. You might even be able to get away with cutting out your ISP, and relying on your mobile wireless data plan to handle things like email and web surfing (especially if your plan allows you to tether a laptop or a media streamer to your smartphone’s internet connection). Do you plan to stream using Netflix or other apps? If so, you’ll need to consider data usage, minimum speed requirements, and your home network setup, especially Wi-Fi. How many people are in your household? If it’s just you and your dog, you have less to consider than a family of five with multiple connected devices. You’ll suffer from dreaded buffering if your internet connection is too slow, but that doesn’t mean you need to buy the fastest internet speed available to avoid that fate. And if your cable company is also your ISP, you can bet they’ll try to switch you to a faster and more expensive internet plan when you call to cancel your TV service. Don’t fall for it. Everyone loves superfast internet when it comes to uploading and downloading large files, but you don’t need it to be that fast just for streaming music and video. Are you experiencing streaming-video buffering? Don't assume it's your ISP's fault (though it could be). The speed you need depends on what type of video you’re viewing and how many concurrent streams you’ll have running in your home. According to Netflix, you need just 3Mbps download speed to stream in SD (standard definition, or 480p) or 5Mbps for high definition (720p or 1080p). Streaming 4K UHD (2160p) can require as much as 25Mbps. 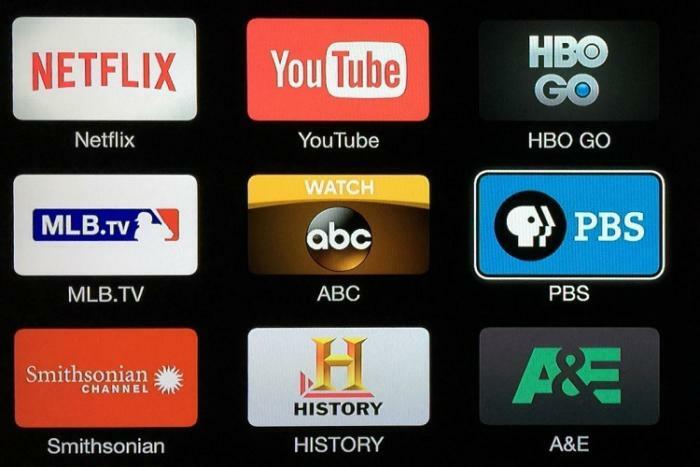 Cable TV alternatives such as Sling TV have similar requirements. That service recommends a constant speed of 5Mbps or higher to stream to your TV through a device such as a Roku player, and up to 25Mbps if multiple devices in the home will be using the internet simultaneously. By the same token, if you have three people in your home streaming Netflix in HD at the same time, you’ll need at least a 15Mbps internet connection. Once you’ve determined how fast of an internet connection you need, I recommend you shop around. There’s no sense in settling for whatever your ex-cable company offers you. Check prices with an IP comparison tool to find out what’s available in your area. Internet speeds vary widely across the US. But how much do you really need? When people have issues with buffering or spotty Wi-Fi in different rooms of their home, often their first inclination is to blame the streaming service or to call their ISP and increase their internet speed. That’s not always the right solution. Poor Wi-Fi coverage inside your home could be throttling your streaming experience, so paying for faster internet isn’t going to help at all. “Using some of the older Wi-Fi technology that really isn’t all that old, it is possible that you will have a suboptimal experience,” said Sling TV Chief Product Officer Ben Weinberger. He pointed out that there are two components to achieving an optimal live streaming experience: what the streaming service can do, and what the consumer can do. With respect to the former, Sling TV had some high-profile hiccups in its first year of service. The service’s performance has stabilized considerably over the last year, however, and live streaming in general is becoming more viable for mainstream users. 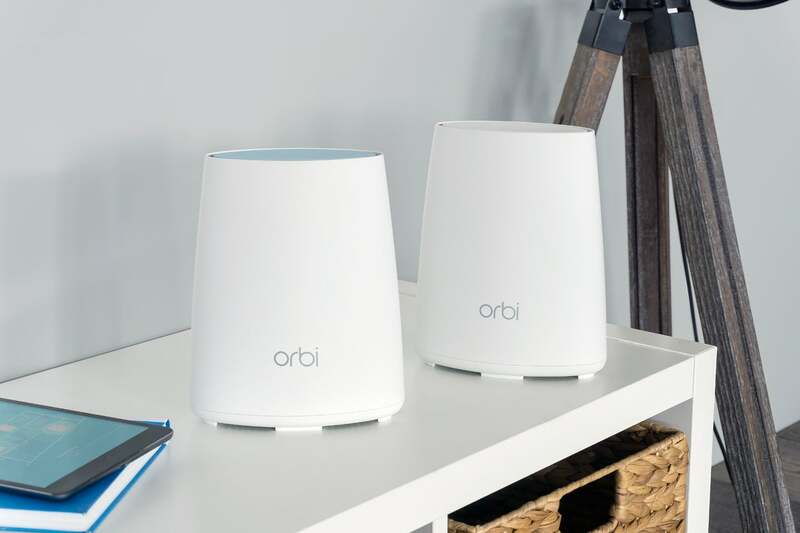 If your router is leaving you to contend with dead spots, a whole-home Wi-Fi system such as the Netgear Orbi might be the solution. 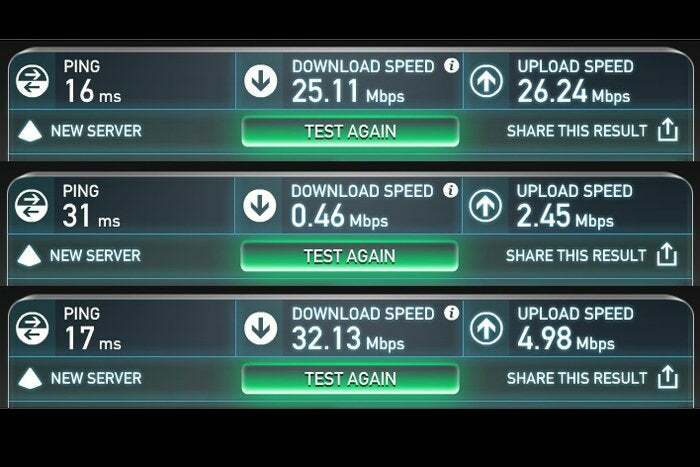 That’s not to say performance issues are never the fault of the streaming service anymore; just look at DirecTV Now. Nevertheless, the streaming problems viewers sometimes experience can be blamed on an outdated or cheap router and/or a poorly configured home Wi-Fi network. The best place for a Wi-Fi router is in the center of your home; unfortunately, most construction has the incoming internet connection on a perimeter wall, often at one end of the house or the other. If you can’t put the router in the center of the house, locate it out in the open. And if you must hide your router in a closet, make sure that you’re using a router with a powerful radio. Other solutions would be to hardwire your media streamer or smart TV to your router with an ethernet cable, or to add a Wi-Fi access point (hardwired to your router) somewhere close to your media streamer. If those options are out of the question, consider switching from a conventional Wi-Fi router to a whole-home Wi-Fi system that uses multiple nodes to blanket your home with Wi-Fi instead of relying on a single access point. Mesh and other varities of whole-home Wi-Fi systems can eliminate media-streaming problems by blanketing your home with a wireless network. 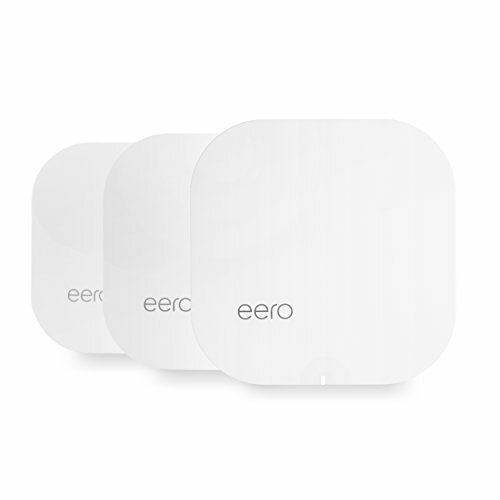 Eero was one of the first to introduce a consumer mesh router. “A majority of people are still using a single router in their home,” said Eero CEO Nick Weaver. “But relying on one router to provide internet throughout a home is like expecting a single light bulb to illuminate the entire house.” Weaver explained that Wi-Fi radio waves don’t easily travel through walls or objects. You might experience little or no buffering in your home office where your router is located, but streaming HD video to your living-room TV is next to impossible. A router like Eero’s creates a wireless mesh network consisting of multiple access points that talk to each other to extend the range of the network. Client devices—your desktop PCs, laptops, phones, media streamers, smart TVs, and so on—communicate with the closest node. That node, in turn, exchanges information with the next-closest node—or the router itself, as the case may be—until the data reaches its destination. The Linksys Velop, Ubiquiti Amplifi, and Google Wifi are other examples of mesh network routers. Netgear took a slightly different approach to whole-home Wi-Fi with its Orbi product line. Instead of a mesh, the Orbi is based on a hub-and-spoke topology with a dedicated high-speed data backhaul from its satellites to the router. You can read TechHive’s reviews to get a better idea how these Wi-Fi systems work and which might solve your particular issues. 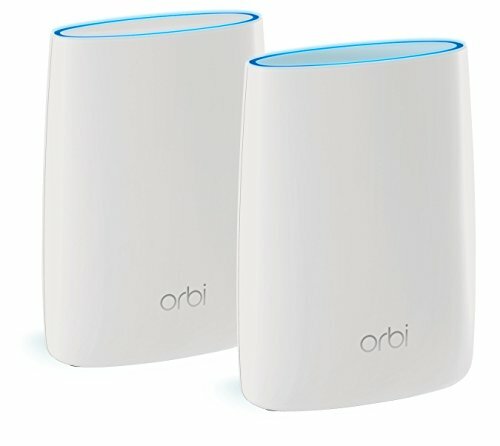 Powerful conventional routers and Wi-Fi systems both cost more than budget routers: Netgear’s least-expensive Orbi kit costs $300, for instance, and an Eero three-pack costs about the same. A powerful conventional like the Linksys EA9500, meanwhile, goes for $350. While there is no one-size-fits-all solution, most people find that a right-sized internet connection and a higher-end router are good investments that can help eliminate the pestilence of buffering. Have any other tips you’d like to add? Feel free to post a comment on TechHive’s Facebook page or share with me on Twitter.